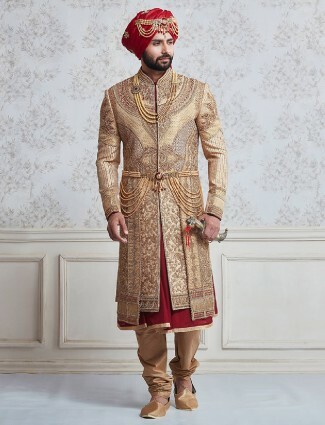 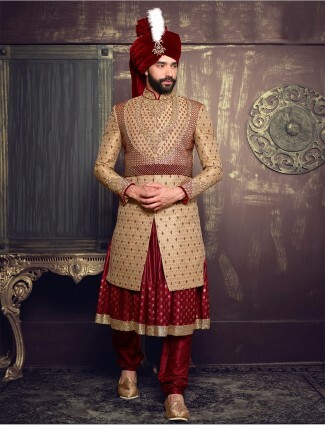 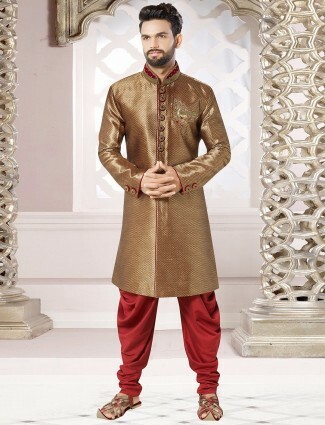 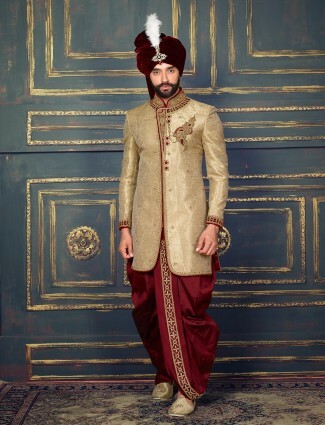 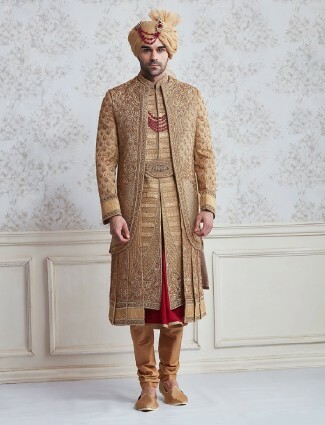 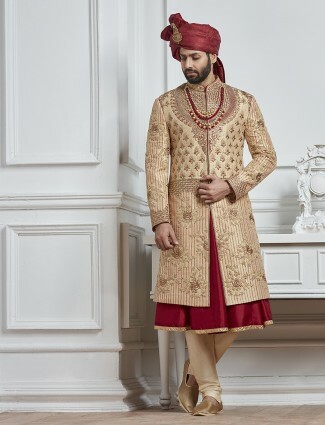 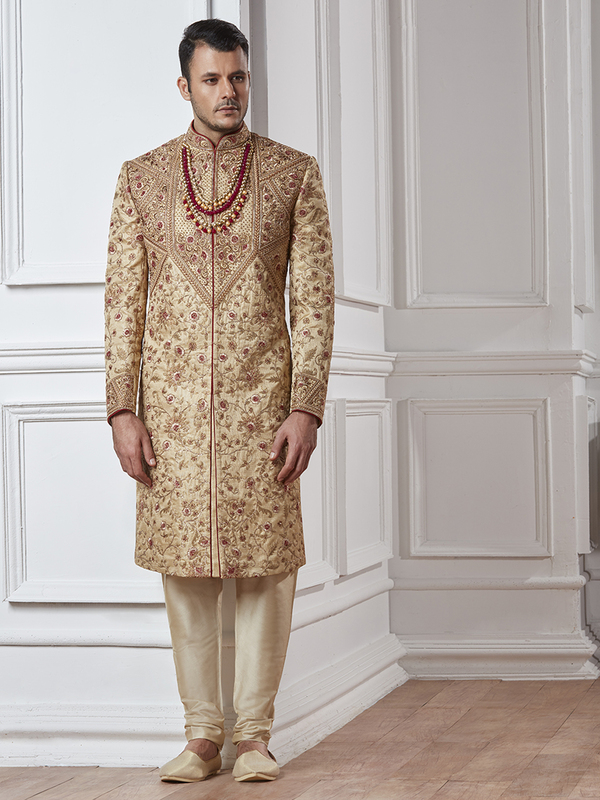 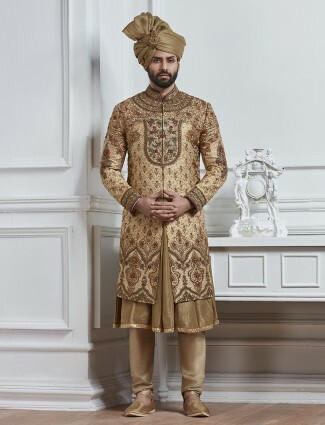 Classic look in wedding function with this beige color silk fabric sherwani. 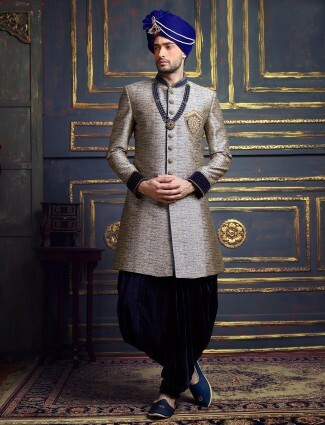 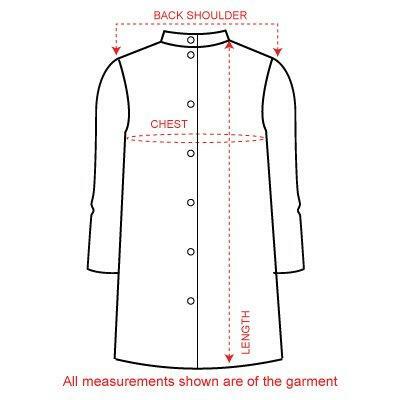 Features with heavy zari work at over all, stand collar and straight hem. 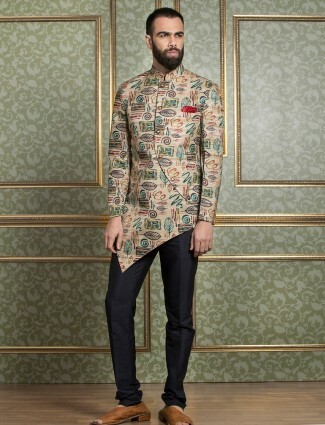 Comes with matching bottom.